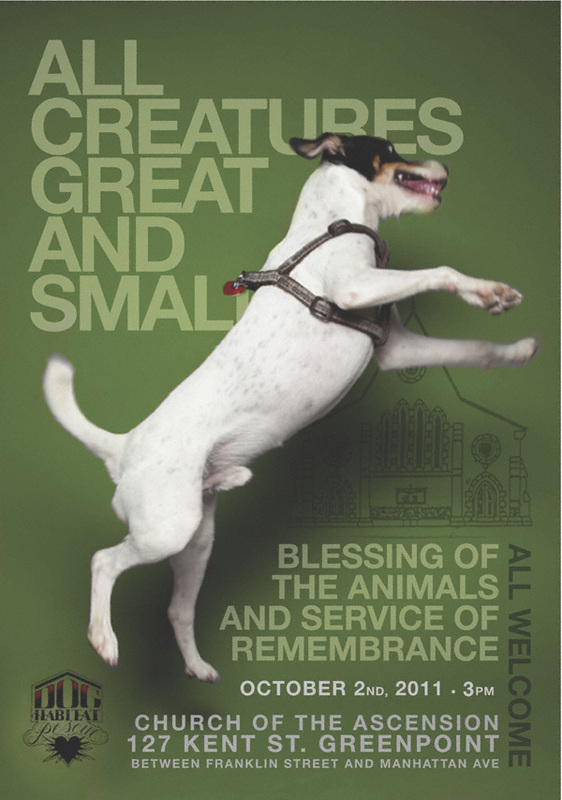 Once again the folks of Dog Habitat along with the delightful Pastor Merz of the Church of the Ascension will be conducting an annual blessing of the animals and remembrance service this upcoming October 2nd, starting at 3:00 p.m. Here is some footage from last year’s procession for your viewing enjoyment. Mark your calendars, animal lovers!